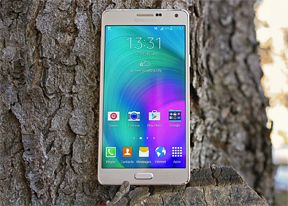 The Samsung Galaxy A7 and its two siblings offer a break from the usual Galaxy uniformity. But do they go far enough? The phablet will turn plenty heads with its slender, light but rigid metal frame and beautiful 5.5" Super AMOLED screen. Then some of those heads will sag a little when they see it's the familiar Galaxy picture drawn with more expensive paints. They will hang lower still when they find out that the internal hardware is closer to a midrange device rather than the high-muscle silicon inside the excellent Galaxy Note 4. 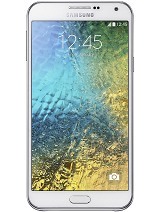 The Galaxy A7 represents more a philosophical break from Galaxy tradition than a visual one. No longer a manic chase after the latest specs (which will be old news in 6 months), the phablet wants to win over its buyers in person rather than through number-touting ads. The Samsung Galaxy A7 redraws the overdone Galaxy blueprint with new materials and slimmed down body. Even if we put aside the nagging feeling that looks have barely progressed since 2012's Galaxy S III, it's hard not to think this is a midrange phablet in expensive clothes. 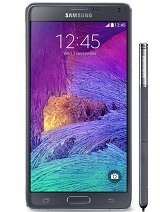 The Samsung Galaxy Note 4 is better in every respect. We're not even talking about QHD vs. 1080p screen, but the S Pen is a valued companion, while the camera adds OIS and higher resolutions and framerates for video, the chipset can tackle 3D games with ease, with Lollipop software to boot, there's a fingerprint sensor... need we go on? The Galaxy Note 4 has a metal frame too and while it's noticeably thicker and heavier, it feels every bit as premium if not better. And at the moment it's not that much more expensive. 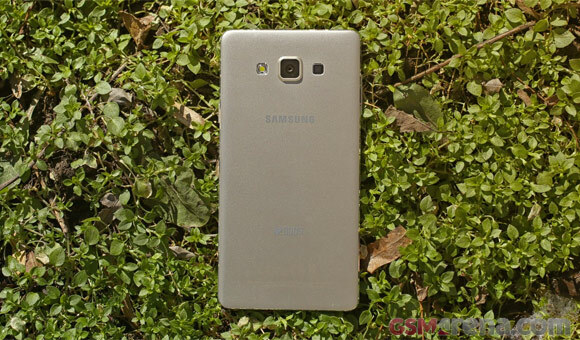 The Galaxy Note 3 is from the plastic era, but its build is good enough. It lacks many goodies of its successor, but compared to the Galaxy A7 you get a slightly bigger screen with S Pen, faster chipset, a similar 13MP camera but with 2160p videos - selfie camera is a mere 2MP though - and a few other perks. All that for less money, so you need to think just how much you'd pay to get a phone that's 2mm thinner and with a metal frame. 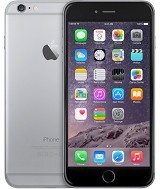 The Apple iPhone 6 Plus is not as thin and not nearly as light, but it's encased in aluminum in a way few other phones can match. An expensive option for sure (especially when you add storage) and no dual-SIM capabilities, but if beauty does trump brains then the Galaxy A7 is more of an acquired taste. 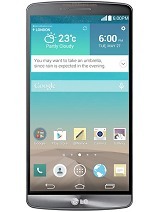 With its 5.5" screen the LG G3 gets in on the fight. The amazement it provides stems for super-thin bezels around a QHD screen rather than minuscule thickness. The imitation brushed metal back is as good as the real thing, but a 13MP camera with OIS and laser autofocus are enough to dry our tears over it. It's one of the most affordable 2014 flagships at the moment but battery life is not up to par with the Galaxy A7. 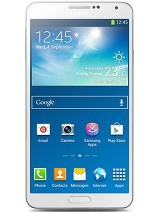 Samsung has a mid-range alternative to the A7 named the Galaxy E7. It drops the 5.5" screen to 720p resolution, but is still a Super AMOLED. It boasts a 13MP/1080p main camera and a 5MP selfie camera. The chipset is a Snapdragon 410 with half the Cortex-A53 cores, four of them, and the older Adreno 306 GPU (having a 720p screen balances things out though). The Huawei Honor 6 Plus presents an affordable alternative for those who need dual-SIM connectivity and has an interesting dual 8MP camera on the back, plus an 8MP selfie camera. It's 7.5mm thick, but packs a 3,600mAh battery. 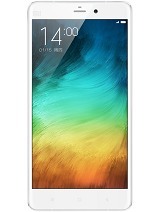 The Xiami Mi Note is slimmer at 7mm and has a metal frame not unlike the Galaxy A7. It's a dual-SIM phone with a relatively cheap upgrade to 64GB so you won't have to choose between connectivity and storage. There's a tried and true Snapdragon 801 chipset, but the KitKat software has been heavily modified. The Lenovo Vibe X2 Pro is slightly more compact with a 5.3" screen It measures 7mm thick and weighs 140g. It's powered by a Snapdragon 615, has 13MP cameras front and rear, dual-SIM connectivity (with separate microSD) and an attractive three layer design. It's not available yet though, should come out in April. With Samsung we're used to a bill of materials that features the top components, but the Galaxy A series diverted much of the cash towards the trim and finish. We cheer Samsung's willingness to change, but for the money they're charging, some of the midrange specs of the Galaxy A7 may prove hard to swallow. And if money is no object there clearly are better-looking and high-performing options. This leaves a slim number of people who will find it "just right." The A-series split from the rest of the Galaxy's and the resulting sense of exclusivity is what a certain set of users my find appealing.